Mattel introduced these Ferrari diecasts in limited quantities. Approx. 9" long - opening doors and hood with engine detail - very nice. Click for larger photo. High quality, 1/43 scale (4" long) diecast car by IXO. The attention to detail is excellent. Comes with a FREE acrylic display case. Limited production. Click for more photos. Great looking 1:18 scale (10" long) diecast from Mattel Hot Wheels. Officially licensed by Ferrari. Click for larger photos. This 120 page full color book offers a close-up look at Danica Patrick, from her early ambitions (she moved to England at 16 to advance her racing career) to the mishaps that cost her first place at the 2005 Indy 500, to the growing successes of her IRL racing accomplishments. Rare, out of print, HARDCOVER book depicting the full-race versions of the world's most iconic production cars from Ferrari, Maserati, Aston Martin, Corvette, and Porsche. 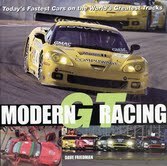 This book takes you to the world's most famous racetracks, where these fantastic machines face off. Places like Le Mans, Sebring, Daytona, Road America, Laguna Seca and more. 192 pages with some amazing color photos! High quality, metal 6-speed gear shift paperweight. Also can be used as a coat or hat hook. I can't stress how cool this is and how well it is made. Click for photos and measurements.